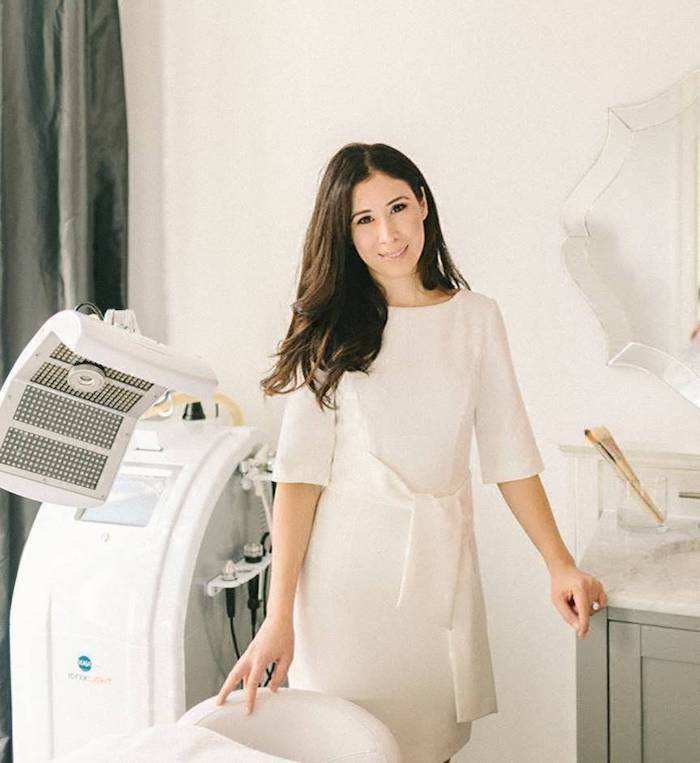 Celebrity Master Esthetician Sarah Akram is one of the most sought-after Board Certified Master Estheticians on the East Coast and facialist to D.C. notables and political correspondents. Akram has a cult following: she is truly the skin whisperer and her talent for giving people an all-natural glow is known from coast to coast (ahem: just check out her signature rapid-speed “butterfly” massage technique for immediately lifted, contoured, and youthful skin!) But it’s Historical Old Town Alexandria that is the lucky location of her gorgeous new 2,000 sq. ft. Sarah Akram Skincare Boutique. A skincare haven dedicated to pampering and perfection, the Sarah Akram way. Sarah is one of only a handful of celebrity estheticians across the U.S. and the only one in the D.C. area to offer the Oxylight Facial that’s taking over Hollywood (Madonna and Kim Kardashian are huge fans; as well as the entire Victoria’s Secret Angel squad who had this done before the 2018 VS Fashion Show). In addition to D.C.’s exclusive Oxylight Facial, Sarah and her team of 3 hand-picked, personally-groomed and -trained alongside facialists to Emma Stone, Gwyneth Paltrow, and Jennifer Lawrence, offer more than 12 customized facials, as well as semi-permanent lash extensions and eyebrow tinting, and all-natural soy-based wax and sugaring services. We sat down with the legend herself to discuss growing her brand, skin care techniques and what makes her method so effective. What sets your skincare boutique apart from other spas in the area? Sarah Akram: I consider us a skincare destination for those looking for non-invasive, cutting-edge treatments, therapies and products. Our skin care services rival those offered in NYC and Los Angeles. What is unique to the Sarah Akram brand? 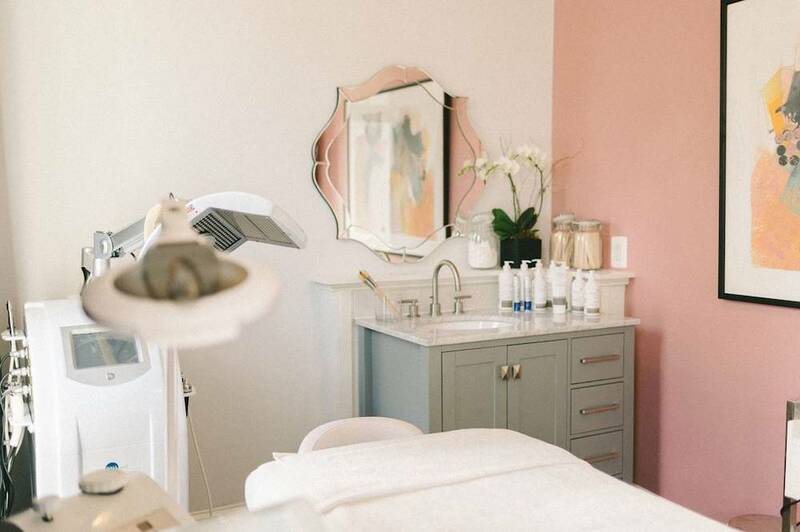 SA: Sarah Akram Skincare is laser-focused on providing our clients with customized, non-invasive, all-natural skincare treatments tailored to their skincare needs. Our team doesn’t believe in a “paint by numbers” approach to skincare, and we find our customized, tailored approach yields dramatic and effective results. Q: Why did you choose Old Town Alexandria to set up shop? SA: When I decided to start Sarah Akram Skincare I wanted to take advantage of the architectural history and culture that Old Town offers the residents of Northern Virginia while also being a quick car ride for those from DC (I live in D.C. and do the reverse commute every day and I am at the shop in under 15 minutes!) Did you know our new location is in a 250+ year old building? The character of our location and Old Town is perfectly aligned with my brand – preserving natural beauty. What is your number 1 belief about skincare? SA: Less is more – I believe in building the skin up with non-invasive methods and high quality, all natural products as opposed to breaking it down with harsh lasers, and injectables. What's your most in-demand service and why do people love it? SA: The LED Lift & Sculpt Facial is our most popular service – it’s an 80 minute treatment often described as a non-surgical facelift. This treatment combines Microcurrent technology and LED therapy in one to tone, lift, firm, and re-educate tired muscles, leaving the face looking younger and naturally glowing. This treatment is designed to “exercise” the facial muscles for a dramatically more youthful complexion. Tell us about the Oxylight facial and why are celebs so obsessed? SA: The Oxylight Facial is a results-driven, non-invasive skincare technology that complements my team’s unique skills and techniques. The Oxylight enables all of my Master Estheticians the ability to deliver treatments that combine multiple electric currents to straighten, re-educate and lift tired muscles back to their youthful shape with no client downtime. One of my girls just did a 90-minute customized facial on my husband that incorporated the Oxylight, and I swear I can’t get the man to stop talking about how clean and firm his face feels! Visit the new Sarah Akram Skincare Boutique at: 125 S. Fairfax St., Alexandria, VA 22314, or book an appointment online, or by phone: 703-531-9350.